New Orleans’ reputation looms large for a small city. Its music, food, history, and culture are known all over the world. The story of New Orleans beings with its founding by the French and its development by the Spanish, French and Americans. It’s a city that has been marinated in its own traditions for centuries and its cultural influences are apparent in the fabric of everyday life here. New Orleans is well-known for having distinct French and Spanish Creole architecture, cuisine unique only to this region, being the birthplace of jazz, and its annual celebrations and festivals—most notably Mardi Gras. It's no wonder why this city is often referred to as the "most unique" city in the United States. The French Quarter is by far the most popular neighborhood, and the center of most of the action. However, there’s an abundance of worthy neighborhoods outside of the Quarter with good food, music, and shopping. 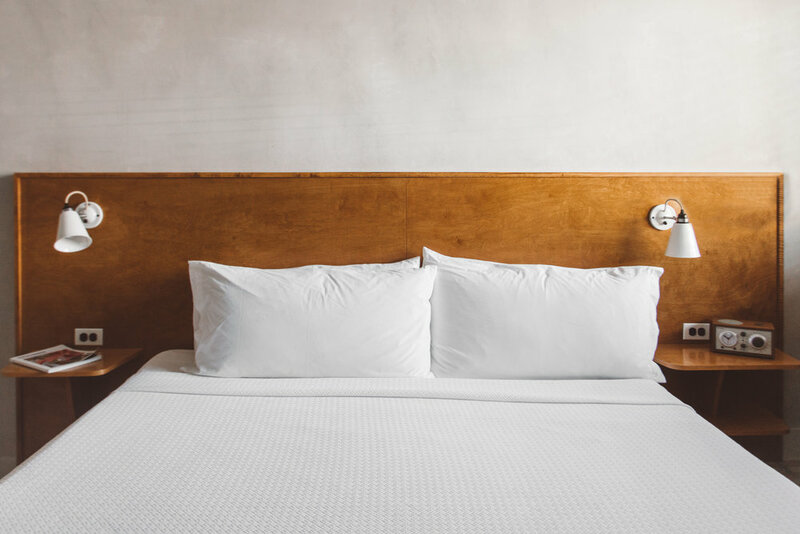 Whether you want to stay near the party on Bourbon Street or get to know more of the city, here are our favorite places to stay in New Orleans and the top things to do and eat while you’re there. Constructed in 1867 as a double-gallery townhouse by famed architect Henry Howard. 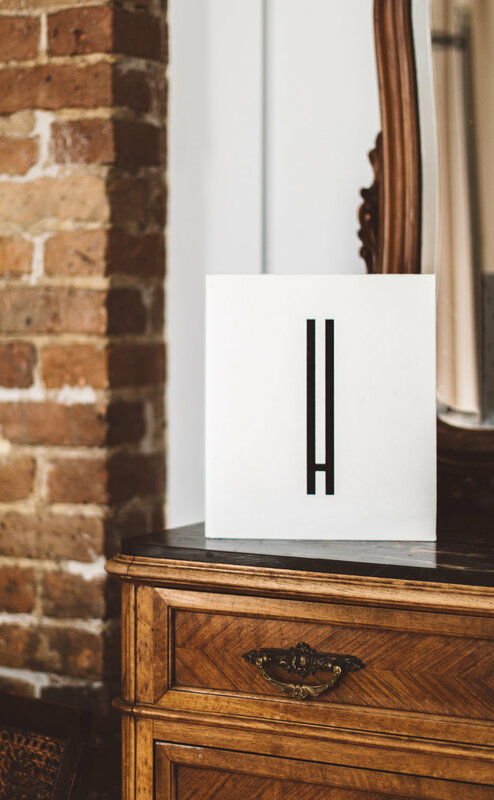 The Henry Howard Hotel has been reimagined into an 18-room, boutique hotel with many of its original elements still standing. It has since been renovated and modernized, while still maintaining its rich classical traditions. It’s located in the charming Lower Garden District, right around the corner from the bustling Magazine Street. 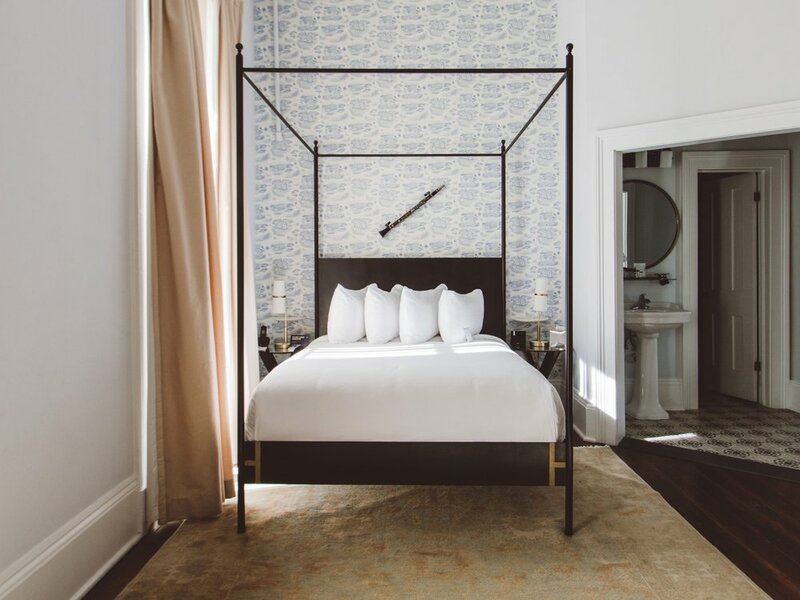 From here you’ll have the choice to craft your own New Orleans’ adventure with tons of antique shops, art galleries, historic mansions, lively bars, and stand-out New Orleans music. This unassuming low-rise building at first glance looks like a forgotten 1950’s motel. 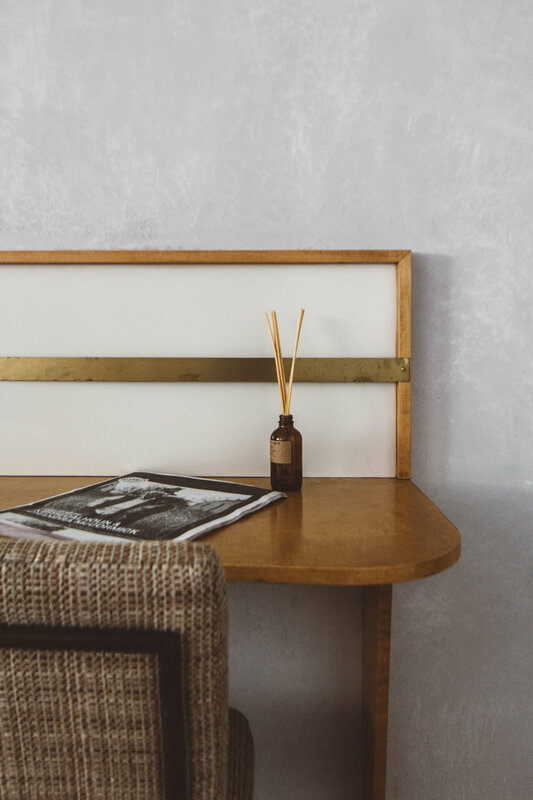 But look past the period-piece signage and The Drifter Hotel reveals itself as an example of modernized nostalgia, both in terms of design and concept. In addition to a café serving up specialty coffee from La Colombe and baked goodies, the culinary program sees a rotation of chic food trucks and on-property pop-ups that offer a host of ever-changing tastes, from Mexico City to Haiti, Colombia, and beyond. Add in the artwork of local creatives and a busy events calendar—best enjoyed with fresh frozen cocktails, Japanese beers and sakes, or the local wines on offer—and it’s clear why this Tulane Avenue property is making waves on the New Orleans scene. What really makes New Orleans special is its food—from traditional Creole favorites like gumbo and jambalaya to some of the country’s best culinary eats. With so many incredible options, it can be hard to narrow them down, so here’s a few that you absolutely must-try. Established in 1957 as a bar in New Orleans’ Historic Treme neighborhood, here you’ll find the aromas of Louisiana cuisine emanating from the kitchen. The earlier you arrive, the better. A traditional and extremely famous coffee shop dating back to 1862. Its menu consists of dark roasted coffee with chicory, beignets, white and chocolate milk, and freshly squeezed orange juice. The coffee is served black or au last (meaning that it’s mixed with half and half and hot milk). Beignets, which are the star; are square French-style doughnuts, generously covered with powdered sugar. Some say this establishment serves the best po-boys in town, and for good reason. While they often have a line that wraps around the entirety of the dining room, it does move pretty quickly and is so worth it. A full service restaurant rooted in Creole traditions and bolstered with contemporary New Orleans influences. Though the restaurant made its name with brunch, dinner at Brennan’s is just as good. Be sure to order bananas foster; after all, this is where it originated. Lively New Orleans-based chain offering oysters, po' boys, gumbo and other Cajun-Creole classics. A favorite seafood eatery for both visitors and locals since 1910. The city, of course, has its must-see sights—like its bustling French Quarter packed with daiquiri wielding tourist and the world-class National World War II Museum that draws hundreds of thousands of visitors a year. But New Orleans offers so much more than its museums and busy promenades. Find time to discover a few off the beaten path attractions and explore even more of the region’s natural treasures with a local swamp tour. 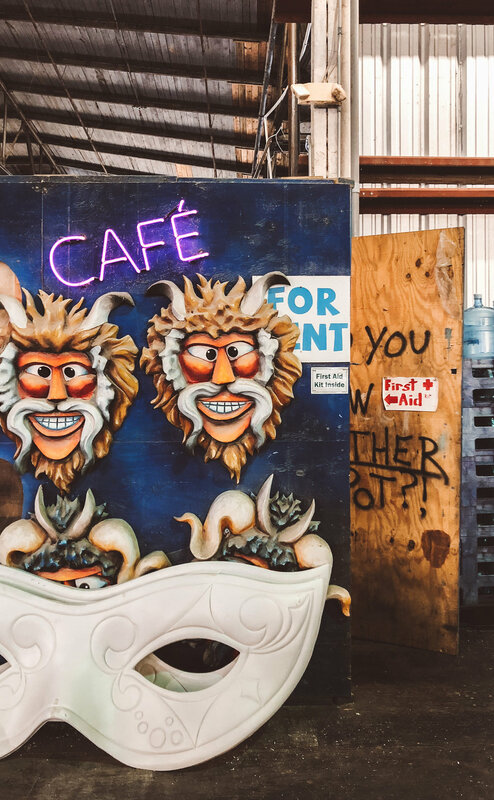 We've gathered our picks for what to do in New Orleans; covering the classics, the off-beat, and everything in between. 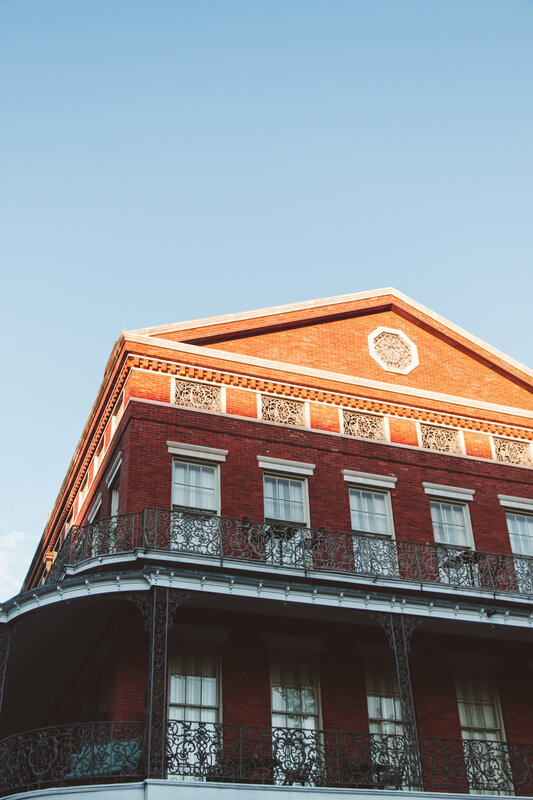 This neighborhood was the original city of New Orleans, which was founded by the French in order to command commerce from those traveling up and down the Mississippi River. Although this is the “French” Quarter; it’s also known as the Vieux Carre or “Old Square,” with much of the historical architecture being of Spanish origin. During her long history, New Orleans has been administered by the French, the Spanish, the French again, and the Americans. It’s riddled with historical landmarks and architectural gems, unlike any other place in the United States. In the late 1800’s, Mark Twain once noted on his adventure down the Mississippi that there were so many plantations and dwellings alongside the river that it looked like a spacious street. 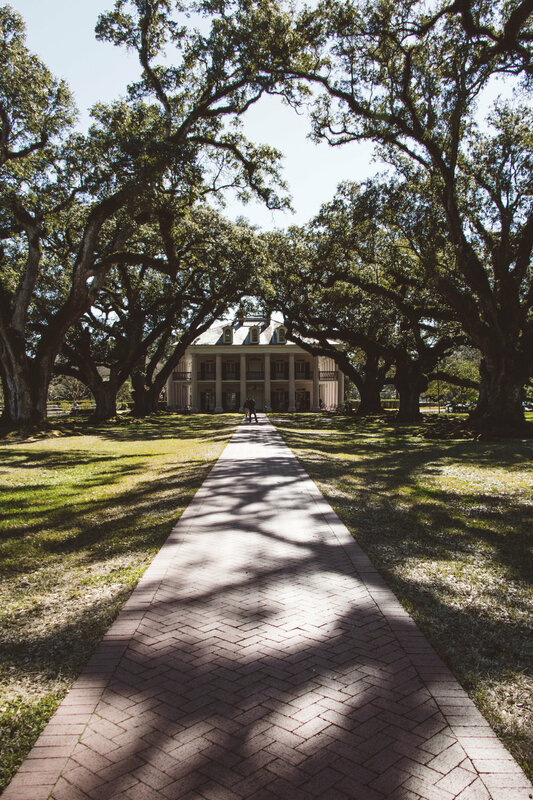 Today you can catch a glimpse of what Twain once saw on the riverfront by taking a tour of Louisiana's plantation homes and museums. This area stretches about 70 miles in length and located on each side of the river between Baton Rouge and New Orleans—boasting some of Louisiana's most famous and monumental plantation houses. The National WWII Museum features immersive exhibits, multimedia experiences, and an expansive collection of artifacts and first-person historical narratives, taking visitors inside the story of the war that changed the world. 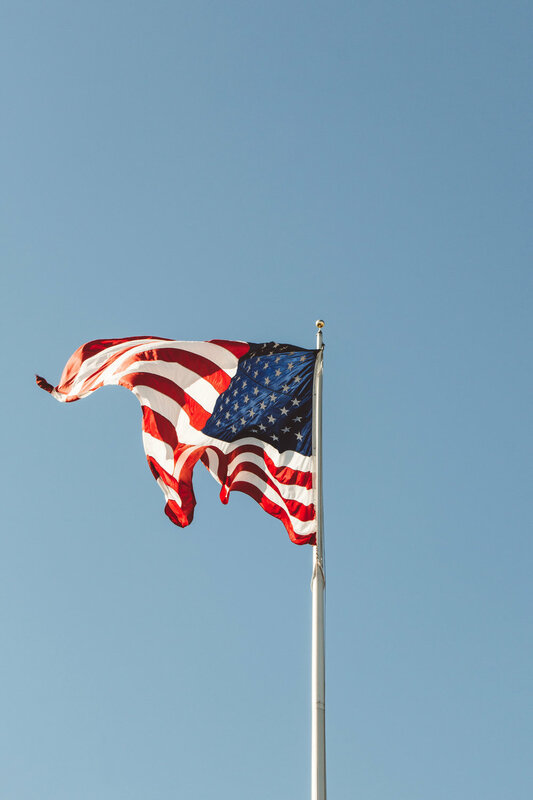 Beyond the galleries, the Museum's online collections, virtual field trips, webinars, educational travel programs, and renowned International Conference on World War II offer patrons new ways to connect to history and honor the generation that sacrificed everything for freedom. The Whitney Plantation offers visitors a unique view of plantation life as it was lived by those who worked there—enslaved Africans. Take a guided tour to see three memorials dedicated to telling the story of slavery in Louisiana, as well as an original slave cabin and church. The Whitney is one of the oldest and best-preserved plantations on River Road. 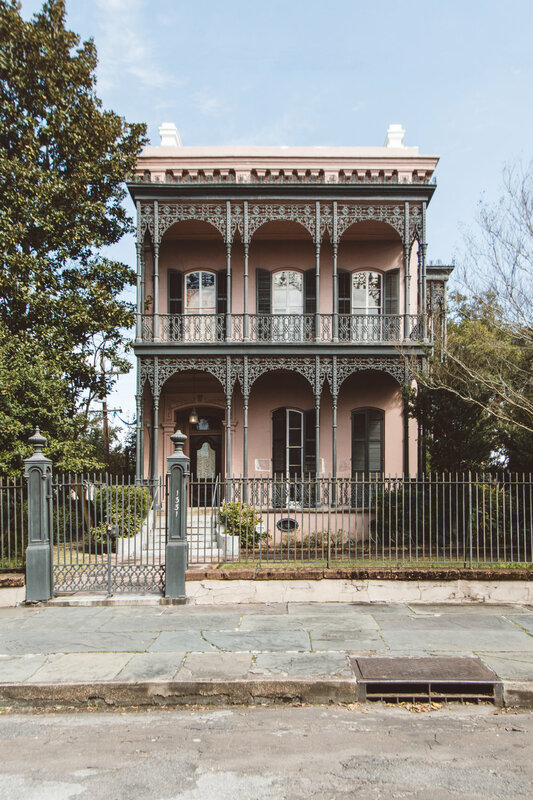 In the charming Garden District, oak-shaded streets are lined with a diverse mix of homes, from single-story cottages to the grand historic mansions and lavish gardens of St. Charles Avenue. Leafy Lafayette Cemetery is filled with ornate, 19th-century tombs. Boutiques and antique shops sit alongside fine-dining restaurants, casual cafes and local bars on and around Magazine Street. For those who are unable to visit New Orleans during the world famous Mardi Gras celebration, experience the next best thing at Mardi Gras World. It’s the largest float designing and building facility in the world. Here more than 80 percent of the floats that journey down New Orleans' streets during the Carnival season are designed and built. What better way to experience the unique culture of New Orleans than by combining both food and cocktail history into one fantastic tour. Doctor Gumbo Tours provides a guided tour to several local eateries and restaurants; including award-winning seafood restaurants, James Beard Award-nominated craft cocktail lounges, funky gastropubs, artisanal candy stores and more. City Sightseeing New Orleans is an entertaining, informative, and fun way to experience the city and its many neighborhoods by transportation on an open-top, double-decker bus. Hop onboard a full two hour loop to experience a complete city tour and learn three centuries worth of history, architecture, and culture narrated live in English by your very own tour host. You can also hop-off at any stop along the way and explore New Orleans most popular neighborhoods, attractions, and shopping districts. *Take advantage of their Guided Walking Tours in the French Quarter and Garden District, included free with a 3-day ticket purchase. Take a bayou tour of the famous Honey Island Swamp with Cajun Encounters Tour Co. Where you’ll float through gator territory on a small, flat-bottomed boat and hear all about the swamp and its natural inhabitants from their local, expert captains. They provide an authentic tour of one of America’s most unique ecosystems and many of their captains have lived on the water for most of their lives and have earned field degrees to give you the best experience possible. *THIS ARTICLE WAS MADE IN COLLABORATION WITH Visit New orleans.